Rabbi Shaya Gansbourg, OBM, was many things to many people. A husband, a father, a grandfather. A teacher, a mentor, a good friend. A rabbi, a businessman, a world traveler. But most of all, he was a unique, special and exceedingly selfless soul. Genuine, pure, and brimming with life, Shaya was never satisfied with the status quo. He thrived on making the impossible, possible; on reaching the unreachable; on bringing to fruition that which others said could not be done. Shaya was a master of accomplishment, because he was a master of his essence - his soul. He was fully cognizant of his mission on earth as a Jew, a Chassid, a human being par excellence. For those who knew him, it came as no surprise when Shaya announced — mid-life, when most people his age are thinking about the not-too-distant retirement funds and long-awaited vacations — that he, together with his dear wife Goldie and family, may they be blessed with long and good years, will be embarking on one of the most important and meaningful projects of his life. And thus, in one courageous instance of hope and faith, Chabad of Harlem was born. As the Founding Father, Shaya spared no effort building Chabad of Harlem, cultivating and nurturing all he encountered. He embraced every human being who walked through the doors with the same love and devotion that he bestowed upon his very own family. Because Chabad of Harlem was his family. And will always continue to be his family. 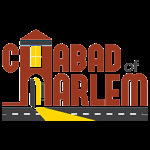 To know Chabad of Harlem, to be a part of Chabad of Harlem in any way at all - is to know Shaya and to be deeply connected to him. He touched, inspired, and guided. He rejoiced in every happy occasion and wept along in tragedy. He loved his community. And his soul will continue to do so forever, illuminating and brightening every future interaction and experience. His legacy lives on in the proud and beautiful community he built. May his soul be a blessing for all of us.